Drs. Mike Mazzola, Robert Cox, Madhav Manjrekar, David Young, and Jean-Claude Thill received a $942,000 grant from the U.S. Department of Energy, to develop an innovative solution related to curbside charging of electric vehicles. The federal grant awarded is part of an $80 million investment in advanced vehicle technologies research to enable more affordable mobility, strengthen domestic energy security, reduce the nation's dependence on foreign sources of critical materials, and enhance U.S. economic growth. This work supports the U.S. Department of Energy's (DOE) goal to invest in early-stage research of transportation technologies that can give families and businesses greater choice in how they meet their mobility needs. EPIC, with Dr. Robert Cox as the lead PI, will be responsible for the project management of the design of unique structural and electrical upgrades to the utility light poles selected to receive the curbside EV charging infrastructure made by Eaton Corporation. 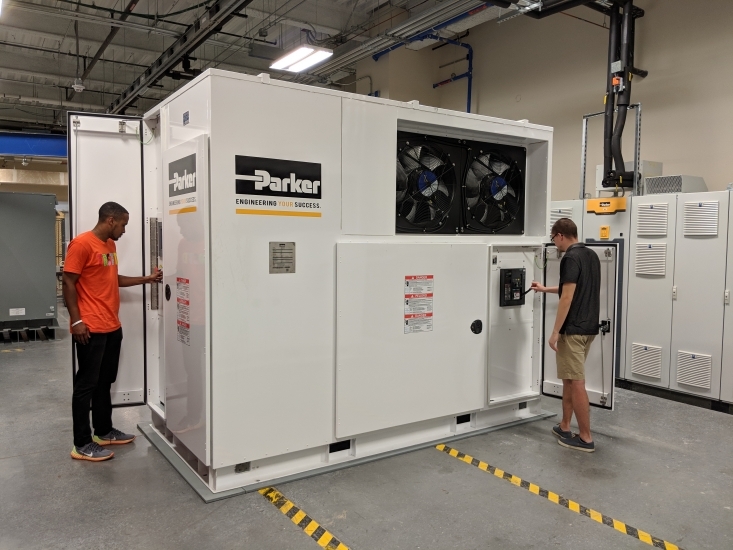 Testing will be performed and validation of the communications, electric, and structural subsystems will be conducted before delivery to Duke Energy's Mount Holly research facility for full system testing and qualification. Centralina Council of Governments will manage the process of selecting the Charlotte area government to host the demonstration and assisting in community relations during the planning and execution of the demo.